I‘ve just discovered via urbanexplorer the work of English artist, Amanda White. The images below are from her writers’ houses project in which she combines extensive historical research on literature, architecture and garden design to make beautiful collages which really capture an incredibly strong sense of both place and character. These particular images also do an amazing job of conveying the unique feeling of an English Christmas. She keeps a very a informative blog which details her creative process which really added hugely to my enjoyment of these images. .
You can purchase these images as cards or prints via her website. 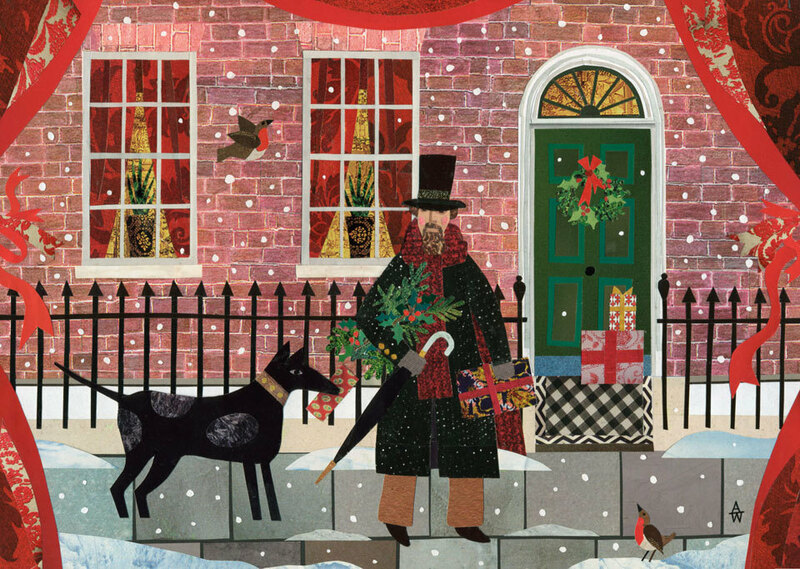 Mr Dickens and his Dog in Doughty Street, Christmas Eve. Chawton Cottage, Hampshire, the home of Jane Austen, her sister, mother and friend Martha Lloyd. 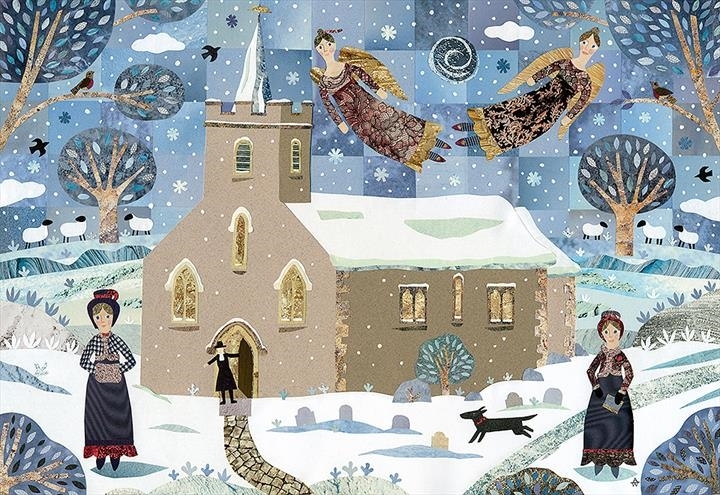 The Yorkshire home of the Bronte sisters, a winter fantasy. Jane and Cassandra Austen Walking to Steventon Church on Christmas morning.